Hint: He’s a square-jawed white guy with a TV haircut. Quick: Name the prime minister of Canada. Can’t? You have plenty of distinguished company, it turns out. I had raised the question while interviewing Lee Anderson. He’s a Republican running for Congress against incumbent Democrat John Barrow, in a district re-drawn to by the GOP to squeeze Barrow out. Anderson is a rough-hewn farmer and state lawmaker. Because I can somehow hold my own talking about agriculture and politics, he and I got along quite well over lunch. The encounter took place in suburban Augusta, at a meat-and-three down the road from Anderson’s HQ. 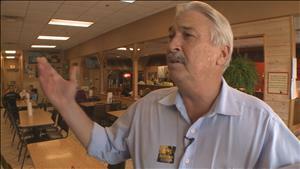 The story was largely about Anderson’s unlikely position as the race’s arguable frontrunner against the incumbent, and about Anderson’s refusal to debate Barrow. Such refusals typically come from incumbents in congressional races. Rep. John Lewis (D-Georgia) has stopped debating his opponents, figuring debates only provide a high-profile stage for a no-name, no-chance opponent. But Anderson’s curious refusal also appeared to be a recognition of his own limitations. Side-by-side with the Harvard-educated Barrow, Anderson’s crude command of the English language might provide a stark contrast that Anderson’s camp might prefer to avoid. He paused, then answered: If I could remember it, I would. He then dismissed the query as a “gotcha” question. But was it unfair? It’s not like I asked him to name the prime minister of Uz-beki-beki-beki-stan. Canada is the US’s neighbor across the street. In agriculture, it’s a huge trading partner and competitor. 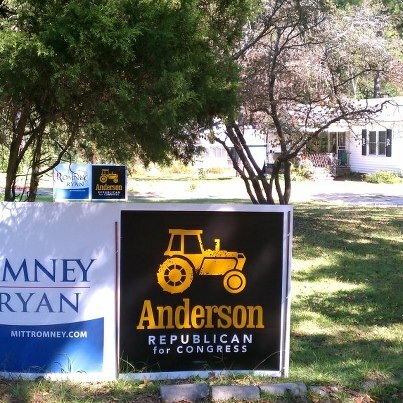 It seemed reasonable to ask about Canada when the candidate’s campaign graphics feature a tractor. After putting the story on the air, I started quizzing friends, family members and coworkers: Name the Prime Minister of Canada. Turns out, it’s not an easy question. 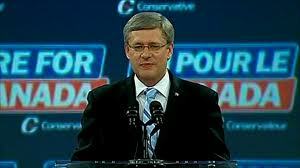 Of those I asked, only Ross McLaughlin, 11Alive’s investigative guy, correctly identified Stephen Harper. McLaughlin was born in Canada. So maybe he doesn’t count. 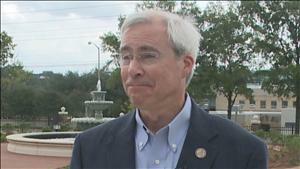 I’d like to think John Barrow or any other four-term Congressman would have answered the question correctly. But I’m not so sure now. And the truth is: I didn’t know the answer until I looked it up. Meantime, Anderson concluded our encounter with this snappy retort: I can tell you who the Agriculture Commissioner of South Carolina is. Can you? He got me on that one. This entry was posted in WXIA on November 4, 2012 by live apt fire.